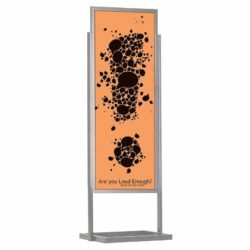 This top quality, sturdy black poster display stand is one of our most popular designs with its too numerous to count advantages: lightweight, easy-to-move, simple assembly, stability on the floor, easy-to-load and unload posters with no tools required, two clear protective overlays, one PVC backer. 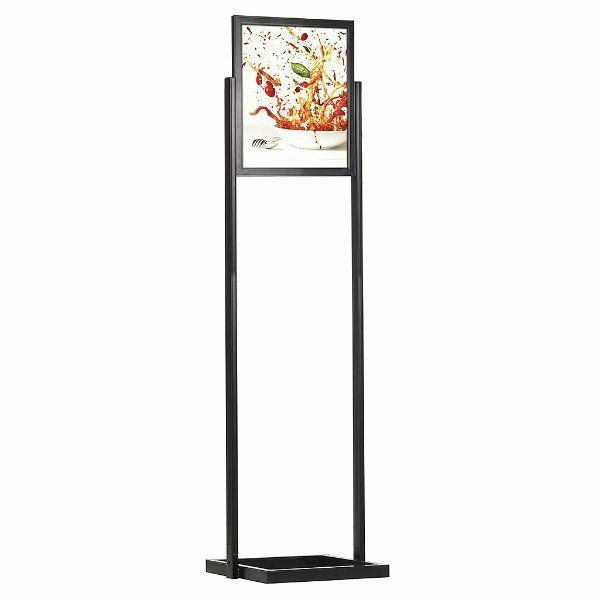 To set-up this display stand attach the base to the body with 2 screws and slide your posters and protectors down into aluminum grooves. It holds 18″ wide x 24″ high posters. 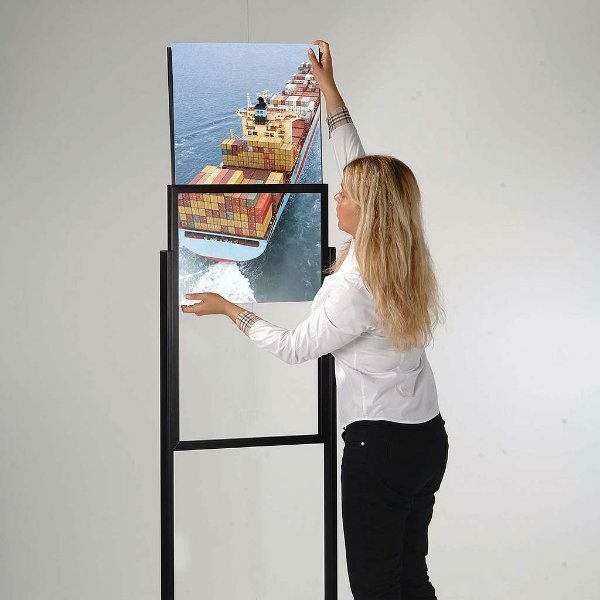 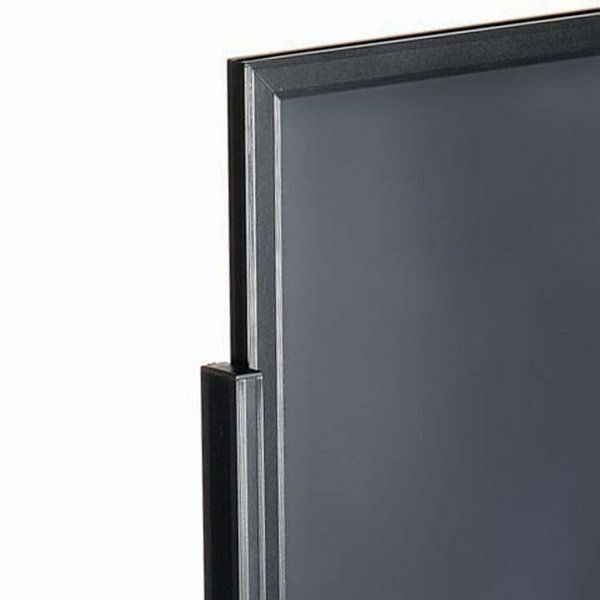 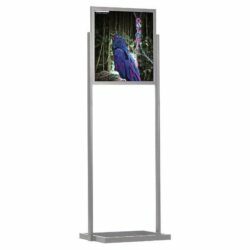 Double-sided, display stand creates more visibility and highlights your announcements with its aluminum black frame. 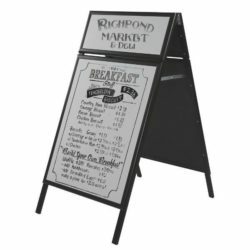 These metal sign frames have a weighted, elliptical base keeps the stands tight and prevent waggling in crowded environments. 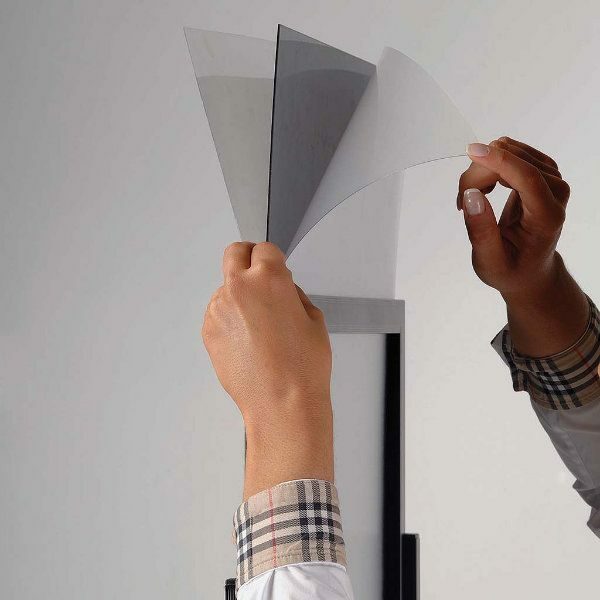 PET lenses protect your poster from dust and getting damaged. 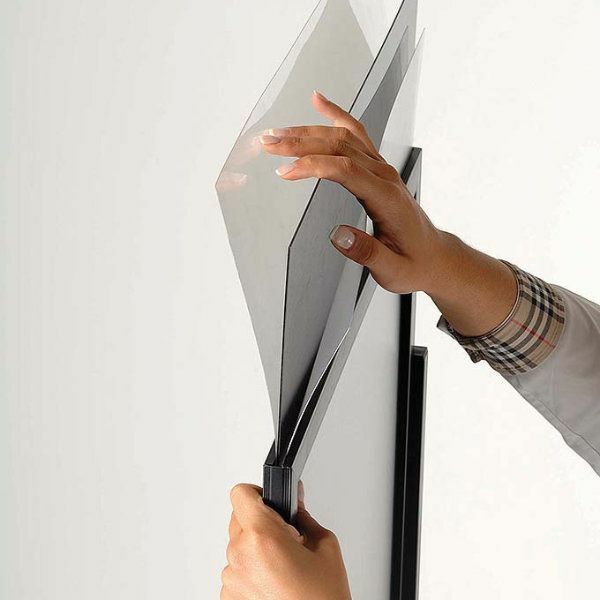 Black PVC backer support the print and hold tight yet prevents light transmission. 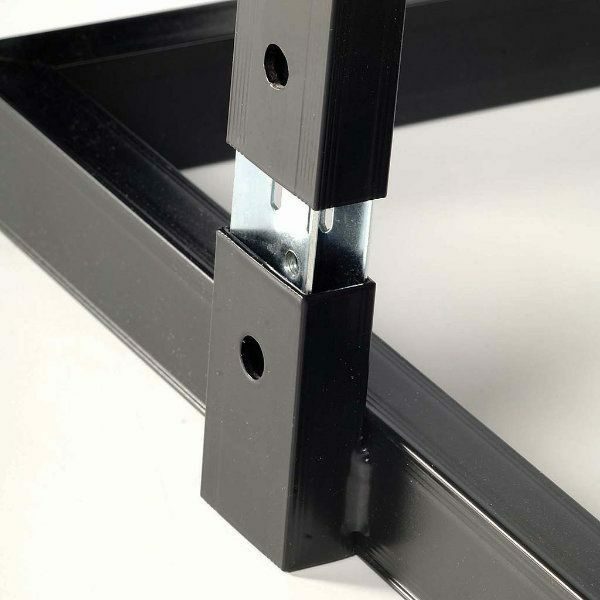 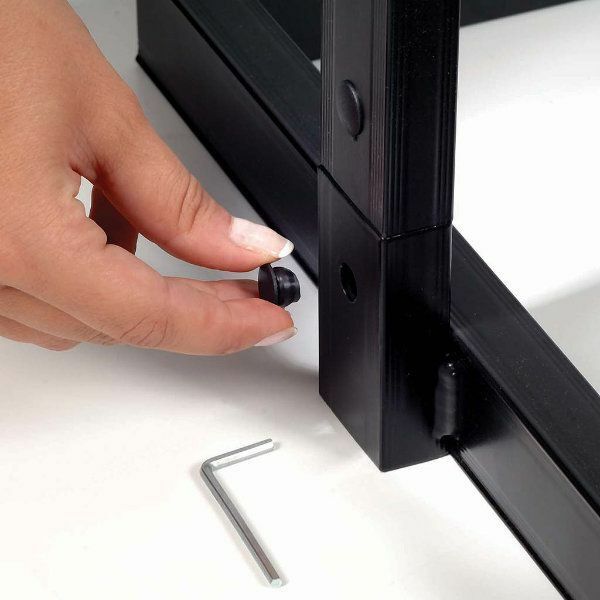 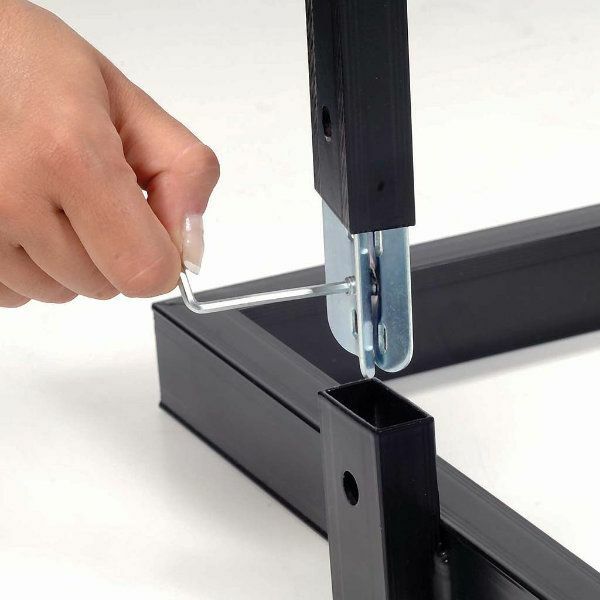 Our sign frame is packed unassembled with an easy to understand instruction sheet and required hardware for mounting. 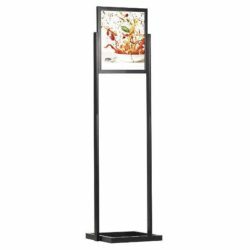 Check other available sizes and colors in “Sign Holders” category. 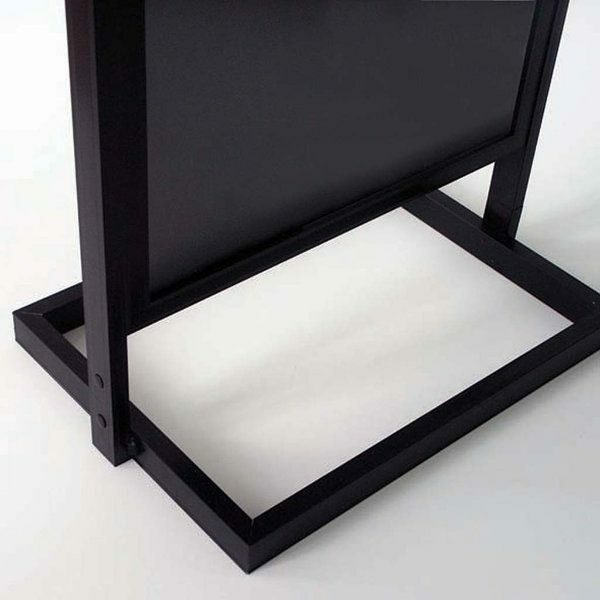 Very nice, heavy and study base. 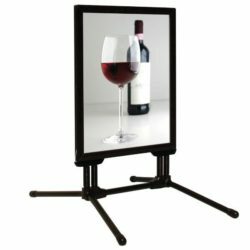 Works great for advertising.